This week, there was a bit of a brew-ha-ha over the joint announcement [see HERE for the news] from United Healthcare (the largest for-profit healthcare insurer in the U.S.) and Medtronic over insulin pump coverage, specifically that United Healthcare had chosen Medtronic to be the company's "preferred" insulin pump supplier, hence other pump and pump supply brands like Roche, Tandem or Animas would generally not be covered. Yes, they buried it on page 7 and kind of did it on the down low which was sleazy, kind of like banks do with changes in terms to credit cards or new fees being added on your checking account. That wasn't the best way to share the news. Being a former Animas (now Johnson & Johnson) pump user, I guess could have been a little upset over the matter, but my reaction was much more of "so what?" instead. Well, my perspective has been shaped by my 40 years of living with Type 1 diabetes (yes, the summer of 2016 will be my 40th diabetes anniversary, but I haven't claimed any medals that I'm probably entitled to from either Joslin or Lilly, and I'm not sure I even want to, but that's a separate discussion). When I was diagnosed as a 7-year old child in 1976, things were a little different, but frankly, in spite of the many claims about how much different things are today, treatment today is really not different by all that much. For one thing, when I was diagnosed, there were exactly 2 brands of insulin sold in the U.S., made by Eli Lilly & Company and E.R. Squibb & Sons, Inc. (better known as Squibb, now part of Bristol Myers Squibb). Our Canadian neighbors had their own insulin manufacturer since they actually discovered insulin, and Connaught Laboratories (part of the University of Toronto until 1972), later became a crown corporation of Canada which was ultimately sold off in a privatization effort as were many other crown corporations, mainly under the leadership of then-Prime Minister Brian Mulroney. Today, the Canadian birthplace of insulin is part of Sanofi, which has the distinction of now being home to both the Canadian and German companies originally granted licenses to make insulin from University of Toronto back in the 1920's. As a practical matter, however, Squibb's insulin was really more of an afterthought at the time. In the U.S. market, which was estimated to be 40-50% of the world market, Lilly held an estimated 83% share in those days. But since the early eighties, the insulin industry has steadily consolidated, although a few companies have entered the world market, only to later be acquired by one of the three giants. Anyway, in 1981, five companies (Novo, Nordisk, Eli Lilly, the German chemical and pharmaceutical company Hoechst [which later became Aventis, now known as Sanofi] and of course, Squibb, which would sell its insulin business and exit that market) accounted for more than 90% of the world insulin market. I should also note that at that time, Novo Nordisk was two separate companies (both based in Denmark). In 1989, the CEO of Nordisk Gentofte approached rival Novo Industri A/S with a proposal to merge their companies, hence they became known as Novo Nordisk in 1989. Realize that in the late 1970's, Squibb's fortunes in insulin were somewhat plagued by various manufacturing problems, and purity was an issue. Ultimately, they partnered with Novo (or was it Nordisk?) to solve those problems. Novo Nordisk only entered the U.S. market in the mid-1980s with a 50/50 joint venture then known as Squibb-Novo, which Novo Nordisk later bought outright from Squibb. Insulin pumps only emerged a few years after that, but just one company existed at the time: Minimed, a then-startup based near Los Angeles, which years later would be acquired by medical device giant Medtronic in 2001. The reality is that Medtronic-Minimed as it was known for some time has a great deal of expertise in the insulin pump market, perhaps moreso than many of the startups in the space. Anyway, when the "preferred" announcement that United Healthcare would cover Medtronic pumps, largely because both companies had negotiated preferential pricing agreements, social media was alive with comments, mostly complaints. As I understand it, Insulet products are excluded from this decision, hence tubeless pumps will still be covered. My response to all of the bellyaches online was that was really no different from preferred brands of insulin or blood glucose testing supplies. Do you have much choice in those things? Not really. I ask why insulin pumps are any different? For insulin, you can still get coverage of other brands, but you'll pay a lot more for the non-preferred brands. However, medications like insulin, including the relevant preservatives used in those products can have some very serious adverse effects, so most plans will cover them, but you'll pay a lot more, and they'll likely make it quite difficult to get coverage for those non-formulary brands, but it CAN be done. But for testing supplies, which are a medical device, I think you're $#!t out of luck getting any coverage for non-preferred brands, folks. The insurance company is under almost zero obligation to even cover those things, although some states impose more restrictions on insurance carriers than others (rates in those states tend to be higher than in less regulated states, including much of the South). For coverage of continuous glucose monitoring devices, the policy is somewhat less clear. Right now, Medtronic doesn't even make a standalone CGM, hence it appears that Dexcom is still covered, especially if patients use pen devices rather than a pump. But all that could change in the future if Medtronic gets its act together and starts selling a standalone CGM device and sensors. The company has hinted it could move in that direction in the future, but right now they simply aren't ready, and my sense is that won't be ready in the near future, either. Shame on you? Really, that's the best you can do? Come on. They're both public companies with a fiduciary responsibility to shareholders, so you need more substance than that. 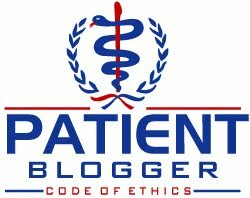 The main issue from my perspective is that while such preferred relationships are routine in today's healthcare market, many patients are getting pissed off because choices are being taken away from them. Pumps can contain a variety of different features, and in the past, there were some very legitimate differences. For example, when I pumped insulin a number of years ago, at that time, Minimed pumps could only deliver insulin in complete 1-unit increments, so I went with an Animas pump because it enabled 1/10th of a unit increments, which was a very big deal for me. While this particular difference no longer exists, it did back in the early 2000's, and we might see potential new innovations, such as smarter bolusing technology, etc. so the differences aren't always cosmetic as some are implying. Also, some prefer Omnipods over pumps with tubing (a legitimate issue for some people, think of athletes who might find it the only viable technology for them), which is why Insulet pumps are exempted from this decision. In the end, much of the bellyaching is just complaints from people who seemingly readily switch from say Abbott test strips to J&J One Touch strips without much complaining. But occasionally there are some significant differences in areas like accuracy at different blood sugar levels, but you basically have to read the fine-print disclosure in mice-type to see that, and accuracy details are limited in many disclosures. But the old J&J One Touch Ultra test strips, for example, showed statistically less accuracy at hypoglycemic levels than did Roche's Accu-Check strips did at that time, yet I don't recall there being a campaign to protest that. Why not? I have hypoglycemia issues, so that is a big deal for people like me. 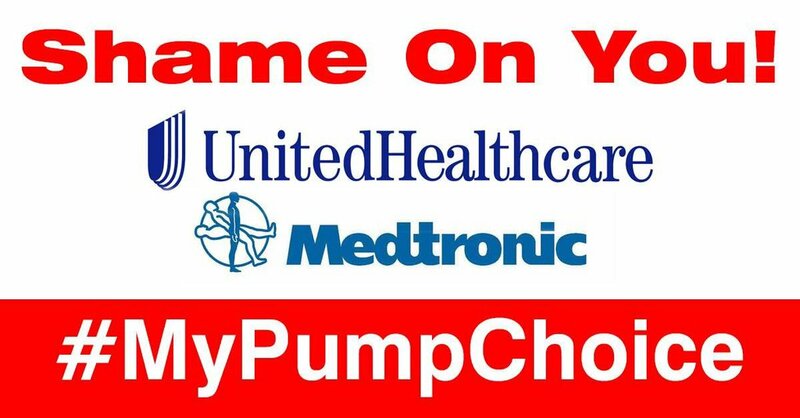 I realize that an insulin pump is with you 24/7/365 so it's very personal for many, but how is not having a choice of pump any different from not having a choice of test strips when certain brands aren't as accurate? 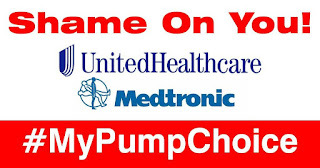 So far, the campaign about #mypumpchoice rings pretty hollow to me, but I'm open to a truly persuasive argument. The only thing is that so far, I haven't heard any arguments that are very persuasive. I'm covered by United Healthcare, and I don't feel as if I've been screwed out of anything. It might limit my choice on pumps, and that might not sit well, but I also really don't like limits on my choice of testing supplies or insulin, and yet that's done all the time and people seem willing to accept that. As I said, I can be convinced, but so far, the diabetes patient community hasn't even convinced me, and I'm one of you! Author P.S. : I'm not interested in a campaign that's about pumps exclusively. We need to address the issues that also include insulin brands, strips and medical care more generally. This is a broader effort, but one that needs to be addressed. Don't ask for my help in something more narrowly focused.